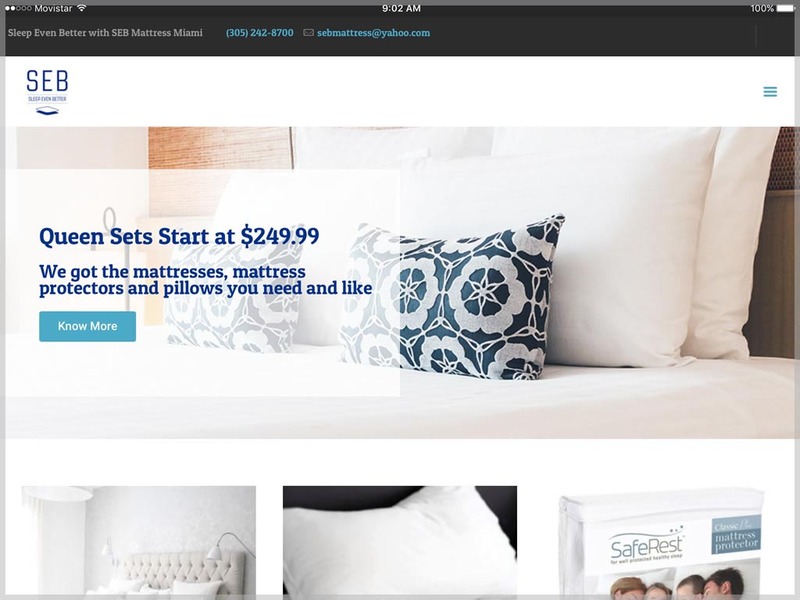 SEB Mattress Miami is a chain of mattress and bedding stores located in Miami, FL. Its fundamental pillar is customer satisfaction, which can be seen in the comments the clients have made. They needed to update their digital image to offer their products, in both English and Spanish, on a responsive website with an excellent look and feel. The project, made with WordPress, fulfills these objectives providing to the user an easy and friendly navigation.